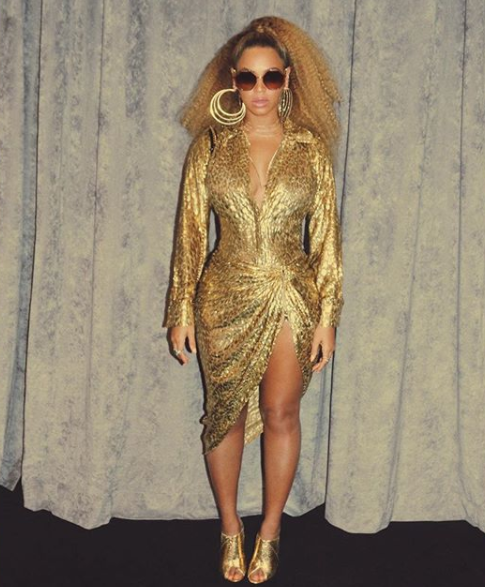 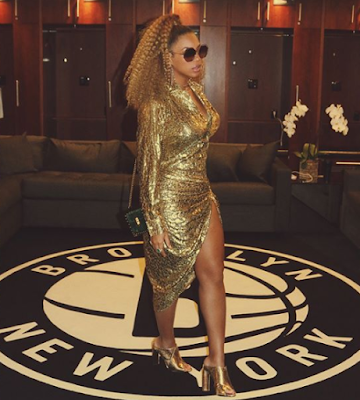 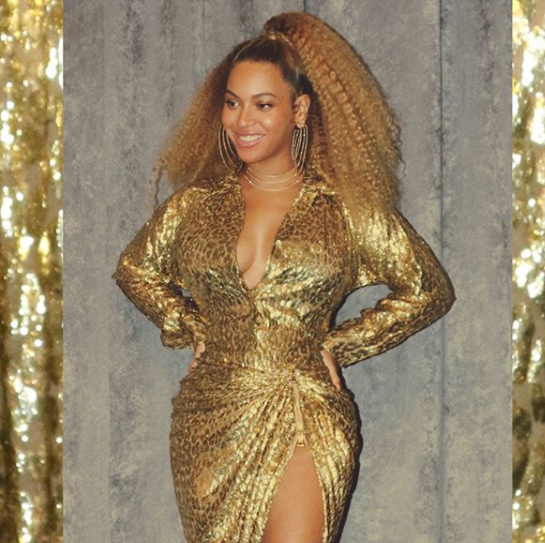 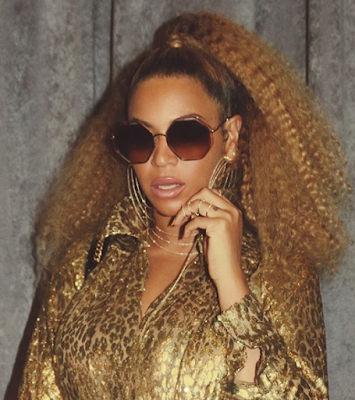 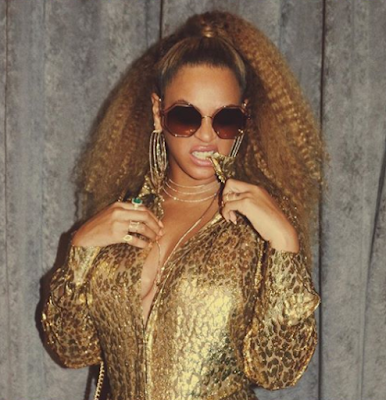 Beyonce displayed her cleavage and thighs in a glittery gold dress that had a plunging neckline and crotch-high slit. 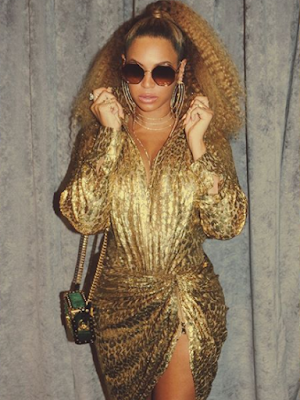 She completed the look with gold heels and jewelry. In another lovely photo, the star cozied up to her superstar husband Jay Z.